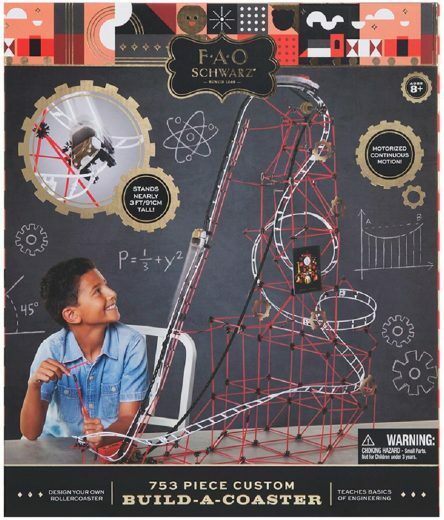 The FAO Schwarz Build a Roller Coaster 753pc is a huge roller coaster designed by you. 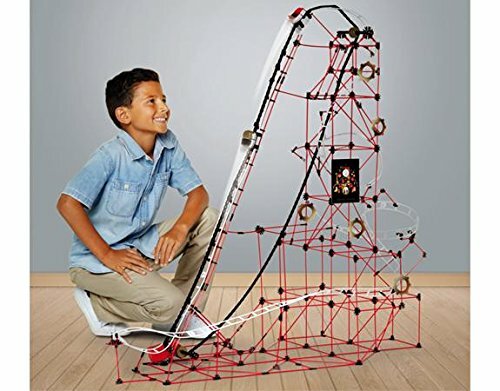 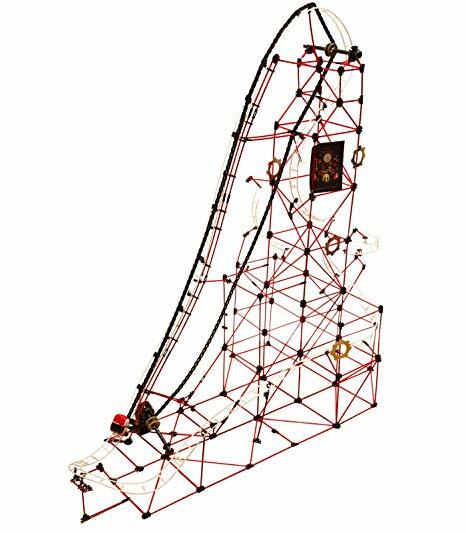 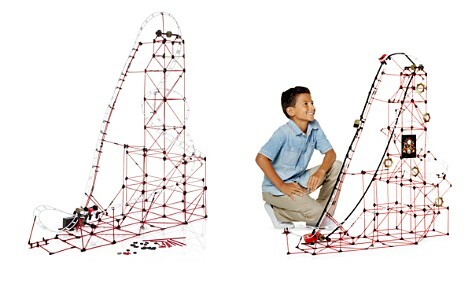 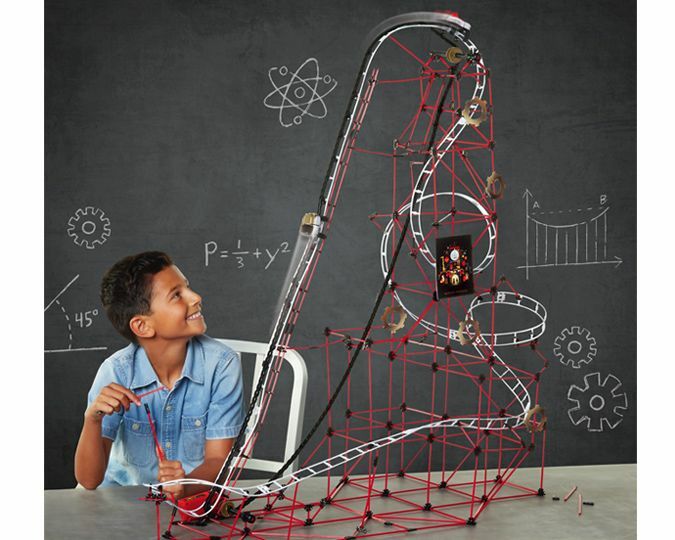 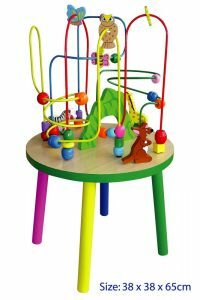 Engineer your own roller coaster, then take it down and create it again with this kit from FAO Schwarz. 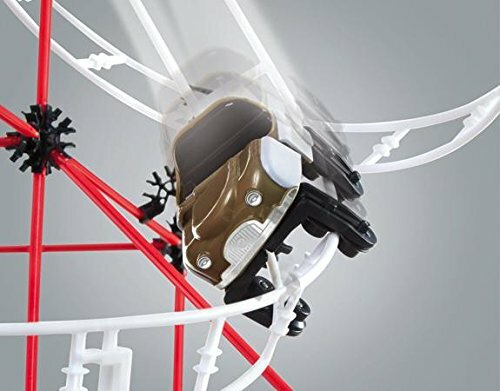 Real motorized parts help propel the car through as many twists and turns as you want. 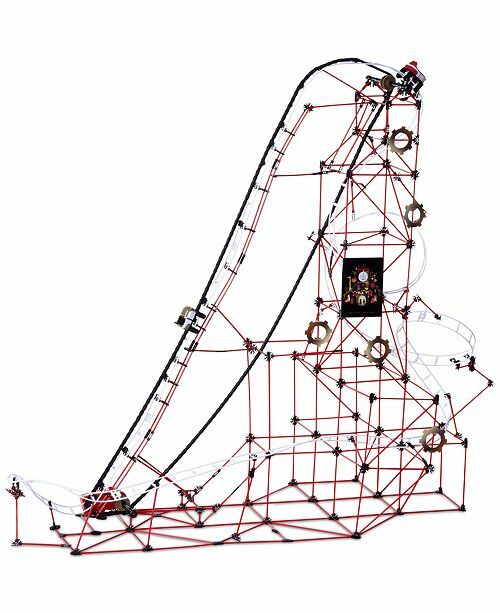 Watch as the roller coaster car is pulled up the main climb by a pulley and plummets, spins, twists and turns back to the start.